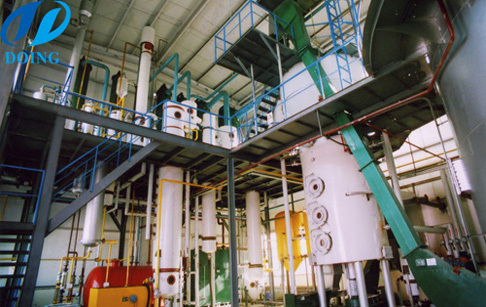 Oilseed solvent extraction plant is the second step in the whole cooking oil production line. Product (cake from cooking oil press section) is carried into oilseed solvent extraction palnt. There are still much oil in cake. Solvent(n-hexane) sprays onto cake so that vegetable oil can be easily extracted. Then we can get high yield vegetable oil. Solvent extractor is obligatory part of small scale oilseed extraction plant. Comparing with large scale oilseed solvent extraction plant, small scale solvent extraction palnt is more and more popular nowdays. Small scale solvent extraction plant not only enjoy the same extraction efficiency, but also have other advantages while large scale oil solvent extraction plant doesn't have. 1. Lower price. Small scale oilseed solvent extraction plant is generally cheaper than large scale oil solvent extraction plant, much more acceptable to many customers. 2. Convenient transportation. Small scale oil solvent extraction plant is much more convenient than large scale oil solvent extraction plant, while small scale oil solvent extraction plant have less requirements for operation conditions. 3. Better extraction efficiency. Small scale oil solvent extraction plant enjoys same extraction efficiency with large scale oil solvent extraction plant. Because of the reasons above, small scale oil solvent extraction plant is much more popular. 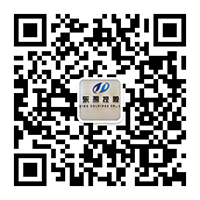 Note: Read more about cooking oil solvent extraction process. To get more information about the small scale oilseed solvent extraction plant, please feel free to contact us, and our engineer will give you a professional suggestion. If you wanna to get more details about Advantages of small scale oilseed solvent extraction plant you can send E-mail to market@doinggroup.com. You can consult our professional engineer and specialized sales team with leave a message in below form.We will contact with you ASAP.You also can visit our factory in Henan,China.Get Detailed address.